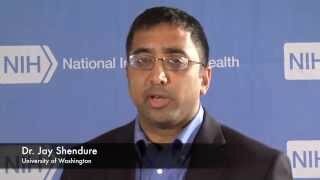 Dr. Jay Shendure of the University of Washington explains why the Precision Medicine Initiative is an exciting time for geneticists. 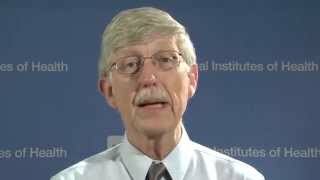 NIH Director Dr. Francis Collins describes how PMI will change the landscape of medicine and treatment. 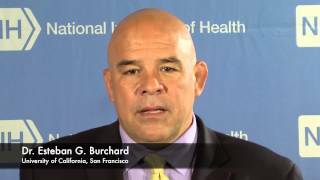 Dr. Esteban G. Burchard of the University of California, San Francisco, explains why inclusion is vital to the success of the Precision Medicine Initiative. 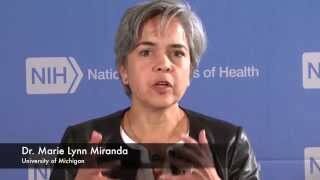 Dr. Marie Lynn Miranda explains how the Precision Medicine Initiative will improve health and prolong lives. 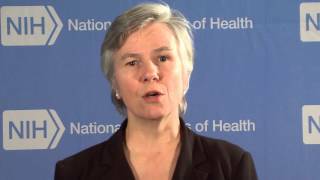 Dr. Collins explains why community and participant engagement is critical to the Precision Medicine Initiative. 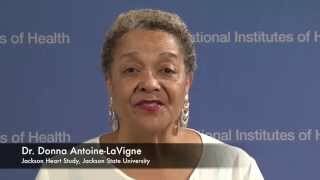 Dr. Donna Antoine-LaVigne of Jackson State University and the Jackson Heart Study shares why participant engagement is vital to the success of the Precision Medicine Initiative. 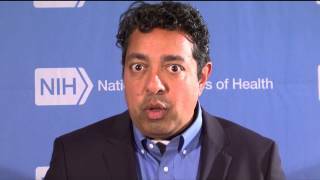 Dr. Atul Butte of UC San Francisco explains how the Precision Medicine Initiative will reach more patients with complex diseases. 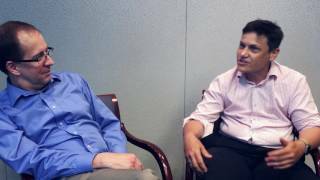 Dr. Russ Altman of Standford University talks about how #PMINetwork brings together the best ideas from multiple medical disciplines to create an exciting future for medicine. 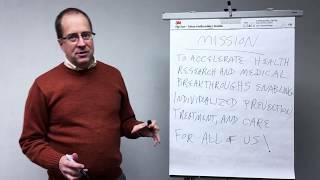 Dr. Matthew Might of the University of Utah shares why he's personally motivated to support the Precision Medicine Initiative as a scientist and a father of a child with a rare disease. 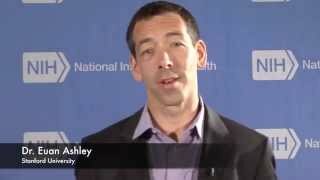 Dr. Euan Ashley of Stanford University shares why he is excited to take part in the Precision Medicine Initiative. 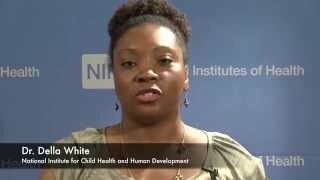 Dr. Della White of the National Institute of Child Health and Human Development explains why participants need a voice in determining the direction of the Precision Medicine Initiative. 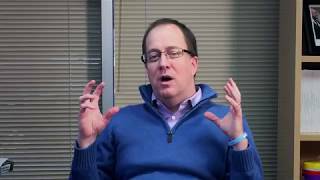 Eric Dishman of Intel shares a how precision medicine saved his life. 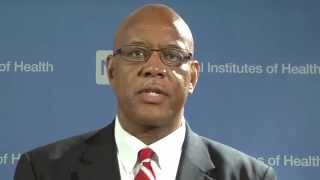 Al Richmond of Community-Campus Partnerships for Health shares what the Precision Medicine Initiative means to him and his family. 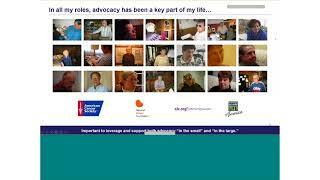 Jamie Roberts of Clinical Trials Transformation Initiative shares her personal story, from the perspective of a patient and healthcare professional, about why she supports precision medicine. 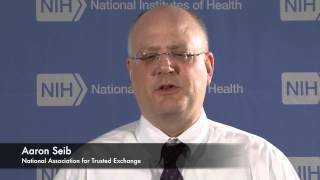 Aaron Seib of the National Association for Trusted Exchange shares his hopes for PMI. 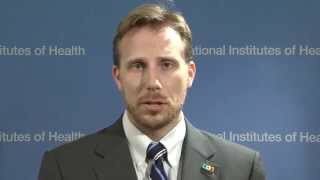 Bray Patrick-Lake of Duke University talks about how the Precision Medicine Initiative will help unify medical records and treat individuals instead of averages. 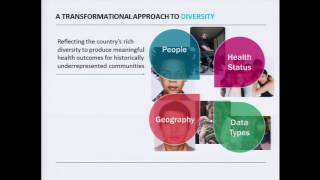 Sharon Terry, President and CEO of Genetic Alliance, shares why she is personally invested in the Precision Medicine Initiative. 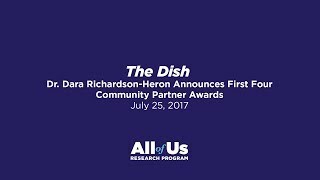 All of Us Research Program Chief Engagement Officer Dr. Dara Richardson-Heron talks to community representatives about why people of different backgrounds should take part in health research. Representatives from Tuskegee University, PRIDEnet, Cherokee Health Systems, and Delta Research and Educational Foundation discuss the importance of diverse communities joining All of Us and the impact they can have to improve care and treatment for their communities. Download a text alternative docx | 19.85 KB. 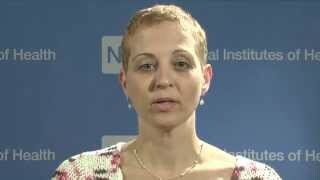 A new year means exciting, new updates from the All of Us Research Program. In 2019, we will focus on returning information to participants, adding new opportunities for participants to share data with the program, and opening our doors to researchers. 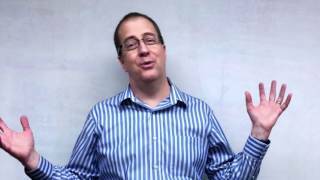 Download a text alternative docx | 17.79 KB. 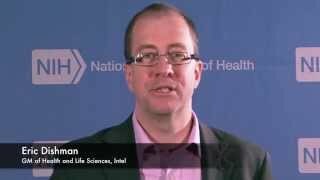 All of Us Director Eric Dishman shares how the program is working with Illumina and its Genome Centers, and also recently released a funding opportunity for a Genomic Counseling Resource, to sequence one million genomes and responsibly return the information participants provide to the All of Us Research program. Download a text alternative docx | 17.95 KB. 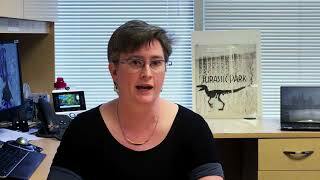 Download a text alternative docx | 18.42 KB. 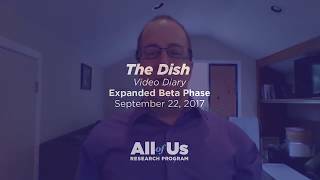 All of Us Director Eric Dishman returns to his video diary to celebrate an important enrollment milestone and highlight some new program features, including newly-released surveys and two pilot initiatives that are coming soon. 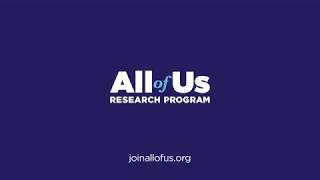 A central principle of the All of Us Research Program is to include participants as partners. 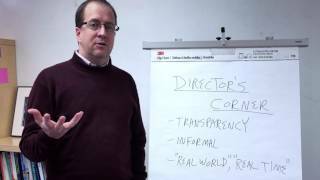 All of Us Director Eric Dishman welcomes the 22 program participants who recently joined the program's committees and advisory panel to support the design, implementation, and governance of the program. The information that participants share is personal, and safeguarding this data is our most important responsibility. 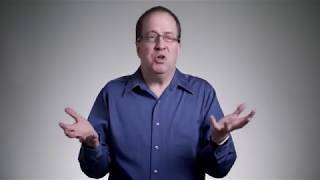 This is why the All of Us Research Program invests in extensive controls and the best technology possible to keep this data safe. 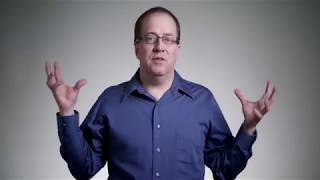 Eric Dishman, director of All of Us, discusses the program's security safeguards and our commitment to protecting your data. In scientific research, a cohort is described as a group of people who are studied over time and whose data helps move science forward. 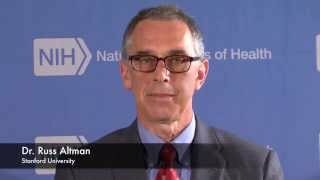 There are many large cohort research programs around the world that offer valuable insights on health and disease. 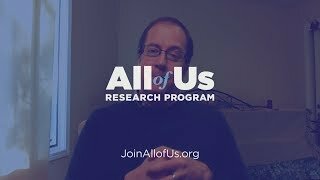 Eric Dishman, director of the All of Us Research Program, explains the four ways that All of Us—a large research program with a goal of enrolling a million or more people—is innovative and unique. 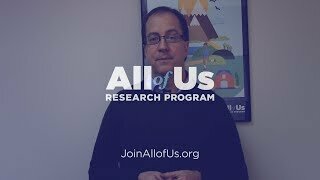 Some of you have asked why we need the All of Us Research Program when there already are many ongoing research studies. 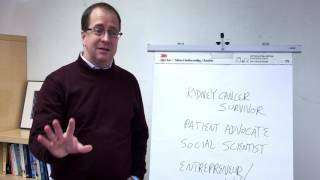 In this video, All of Us Director Eric Dishman explains the importance of All of Us from three perspectives—the patient, the provider, and the researcher. Es un placer para nosotros anunciar que el Programa Científico All of Us ya esta disponbile en español. Usted puede aprender más sobre el programa y hacer preguntas a través de nuestro centro de apoyo - puede hacer todo esto en español. 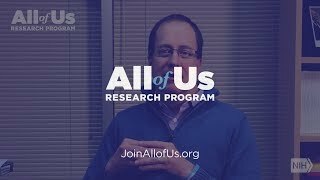 Visite el sitio/página de internet en español: www.joinallofus.org/es. 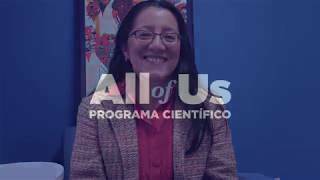 We are so pleased to announce that the All of Us Research Program is now available in Spanish. You can now learn about the program and ask questions through our Support Center – all in Spanish. 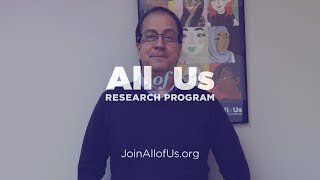 Visit the website in Spanish at www.joinallofus.org/es. 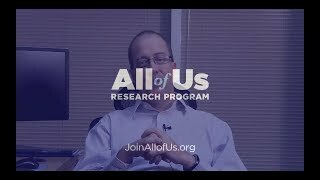 Eric Dishman, director of the All of Us Research Program, gives an update about the program’s genomics strategy. All of Us recently announced its intent to fund Genome Centers to do genotyping and whole genome sequencing for 1 million participants. The program will also be launching a pilot to responsibly return genomic data to participants. 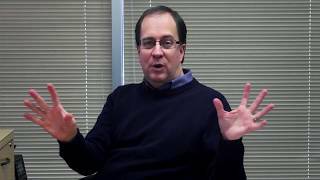 Eric Dishman, director of the All of Us Research Program, responds to your questions on The Dish. 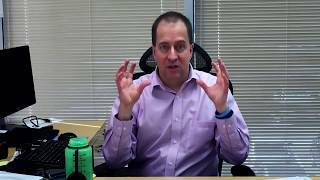 In this video, he explains how All of Us is distributing invitation codes during the beta phase and how to get updates about the program, including opportunities to join. 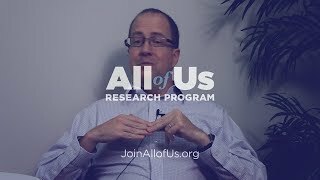 Eric Dishman, director of the All of Us Research Program, looks back on the program’s busy and eventful 2017. In this year, we launched our beta phase and enrolled more than 14,000 participants at over 100 sites across the country, expanded our network of partner organizations, and brought the program into many of your communities with the All of Us Journey. 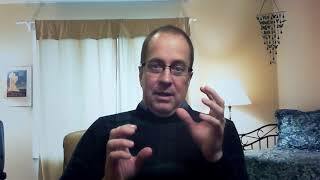 Eric Dishman shares the program's latest enrollment numbers and talks about new partnerships with community and provider organizations and libraries across the country. All of Us has announced a new pilot effort, anticipated to begin in mid-2018, that will help us learn more about the use of wearables in sharing health data. 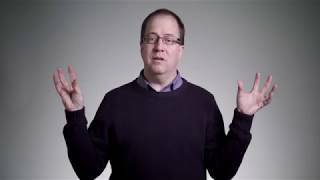 Director Eric Dishman shares the details of what we hope to learn as we work to incorporate new data types into the program. 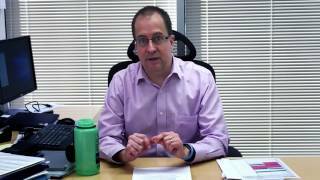 Do you know what information is contained in your electronic health record (EHR)? 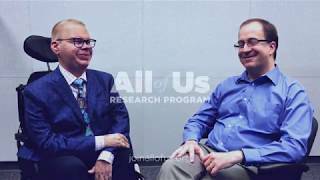 Eric Dishman, director of the All of Us Research Program, explains what’s in your EHR and why the data is so valuable for researchers. 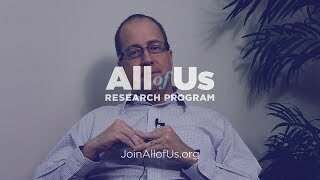 Eric Dishman, director of the All of Us Research Program, provides an update on the status of the program. Eric asked our Director of Scientific Programs, Dr. Joni Rutter, to introduce herself and share what her team is working on. Joni and her team are responsible for establishing the program’s participant portal, Data and Research Center, enrollment centers, and biobank. 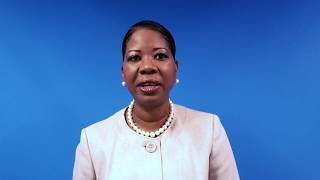 Eric asked our Chief Engagement Officer, Dara Richardson-Heron, to introduce herself and share her passion for engaging and empowering people. 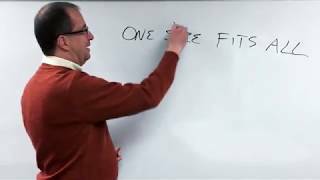 Eric Dishman invites important guests to speak directly to participants on The Dish. 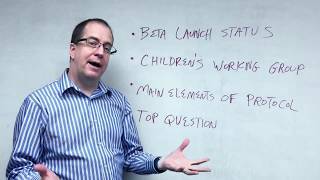 In this video diary, Eric shares some exciting updates about beta launch, the formation of a new working group on child enrollment, our research protocol, and the number one question he receives whenever he talks about the program. 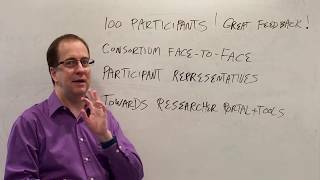 In this latest video, All of Us Research Program Director Eric Dishman describes how we're receiving feedback from participants and involving them as partners in every step of the design process. 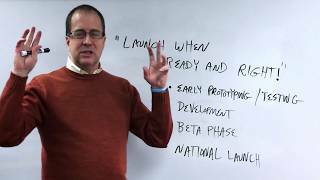 All of Us Research Program Director, Eric Dishman, announces the start of beta testing. 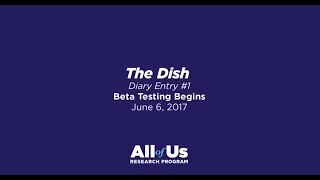 The All of Us Research Program will launch “when ready and right.” Find out more about our timeline from Director Eric Dishman. Precision medicine aims to go beyond “one-size-fits-all” health care, with treatments and prevention strategies tailored to each of us and the things that make us unique. 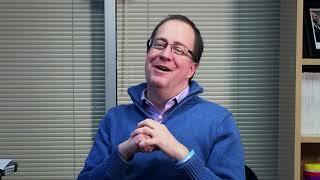 At 19, Eric Dishman was given a cancer diagnosis and 9 months to live. 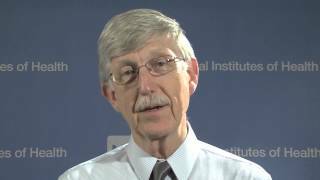 Learn more about his journey, which eventually brought him to NIH to lead the All of Us Research Program, part of the Precision Medicine Initiative.